Authentic Italian since 1989, La Pizzaiola prides itself on real Italian food and a cosy, inviting atmosphere. We use as many Italian products as possible in our menu to ensure the traditional flavors of our dishes. 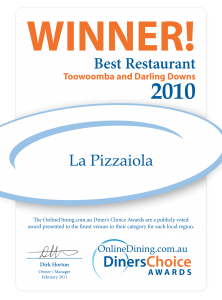 La Pizzaiola is owned and operated by a talented young local chef who has great knowledge, and the support of an awesome team. 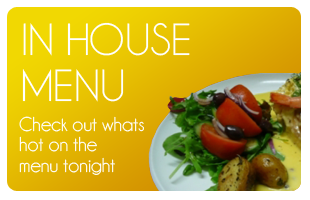 Our menu is Traditional Italian with some modern touches. We pride ourselves on using the freshest ingredients and many imported ingredients including our Parma cheese. 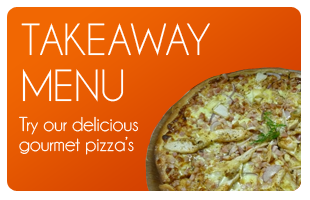 Our menu includes pizza, pasta, veal, chicken and risotto, and we make all of our pasta fresh on premises. We use only fresh prawns from Crystal Bay, North Queensland, and the Darling Downs region provides us with local fresh fruit and vegetables. Our pizza dough is made fresh every day and cooked the traditional way. 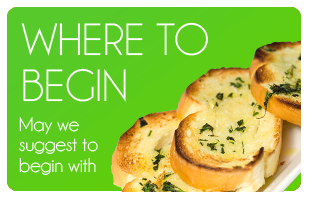 We also sell packaged take-away pasta meals at various fruit & vegetable outlets and deli stores, and our fresh pasta is sold to restaurants and cafes around Toowoomba. For enquiries on getting this delicious fresh pasta in your restaurant or cafe – or even at home – please call Jim on 4632 2997. La Pizzaiola © 2019. All Rights Reserved.